Though acts of self-styled Islamic State [or ISIS] have been termed un-Islamic and repeatedly condemned by majority of Muslims, the Paris attacks have once again brought focus on IS. On social media, Muslims have been clearly saying that ISIS doesn't represent Islam, at all. There is also a feeling that Muslims should come out and condemn, though the fact is that Muslims are not just condemning ISIS, but on ground too it is large number of Muslims who are fighting it. Also, Muslims are also the biggest victims of ISIS' atrocities, not just in Syria, Iraq and adjoining countries but also because of the Islamophobia that is generated by these acts. But these aspects don't get as much publicity. In fact, much before the recent terrorist attack in France, Indian Muslim clerics had taken the unprecedented step, and 1,050 Muslim clerics had issued a fatwa, collectively, against the ISIS and had termed its acts as un-Islamic. These 1,050 Muslim clergymen include Muftis, Qazis, Imams, Maulanas and Religious scholars. 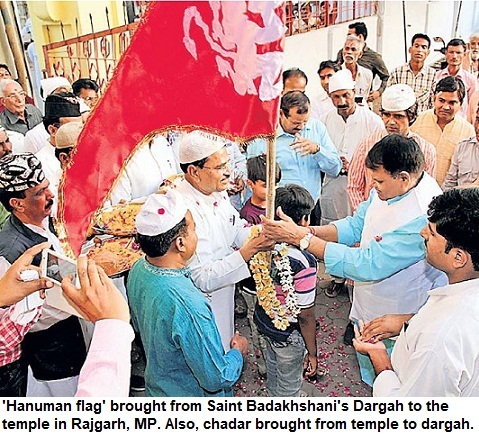 They included Jama Masjid heads, representatives of leading Islamic seminaries, institutions, organisations, sajjada-nasheens and influential Sufi shrines. 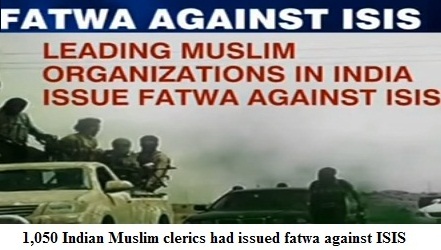 They had jointly signed this fatwa against ISIS, its leader and its fighters. It was a huge fatwa that tackled the issue point wise and exhaustively. One wished that it had got the due attention, it deserved, across the world. The Ulama had said that ISIS was an enemy of Islam. It was sent to United Nations (UN) general secretary Ban Ki Moon. The document's text said that ISIS actions were inhuman, it was involved in mass killings and was absolutely against the basic tenets of Islam.